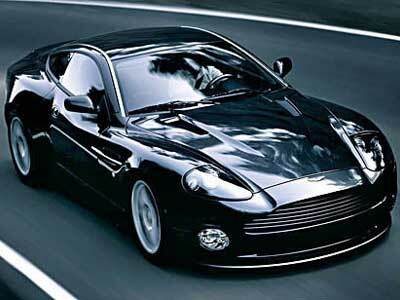 My favorite car is Aston Martin . My favorite car that I have owned was a 1966 Chevrolet Impala Super Sport. Bucket seats with a Turboglide transmission. Silver 2 door with a black vinyl top. 327 with a 4 bbl. and dual exhausts with glass packs. I buried the speedometer several times.....those were the days.....it's a wonder I'm still alive ! Cadillac Escalade (Hybrid) is my favorite. Bought it in 1979; sold it last month with 145,000 actual miles. Bet you hated to see it go,,, . Those cars didn't weigh much more than a fat cow but were sure fun to drive. Best car ever owned: '70 Chevy Nova .. bought with a 283, 4 BBL Quadra-jet card, Muncie 4 speed... that car was so fun.. seemed to have no top end limit... wind it up! CAr I'd love.. Cadillac CTS-V coupe... I LUB DIS CAR! I still love my MGB, especially with its V6 conversion! My Fav car would be a 2000 EK Civic hatch back with a K20/K24 frankenstein all motor swap doing high 11s on a quarter mile track. Probably doing a K20A EuroR in my '94 Accord in the near future when I'm done with school. Got a JDM H22A swap with a built head pushing 200whp/156wtq on a dynojet. While maybe not my favorite, but right up there is the Merkur Scorpio, WOW what a great car it was, built as well as any european model with a fully independent suspension, good power and huge trunk and the back seats power reclined, Toyota is just now offering that in their Avalon like it is something never seen before. The only reason the Merkur line failed because Ford in their low brow wisdom gave the Lincoln / Mercury division the responsibility of marketing for the line and if it didn't have Opera lights and a carriage roof they didn't know who to market it to and were unable to figure out how to sell a car that's market was really Mercedes, BMW and Audi and because of that they basically never bothered to try. Last edited by unotis; 01-04-2011 at 04:39 PM..